Dr. Seuss is one of the greatest literary legends of our time. He wrote an impressive list of children’s books that offer a great message and many lessons for both children and parents alike! In fact, anyone reading a Dr. Seuss book is sure to gain some valuable insight about life and themselves. 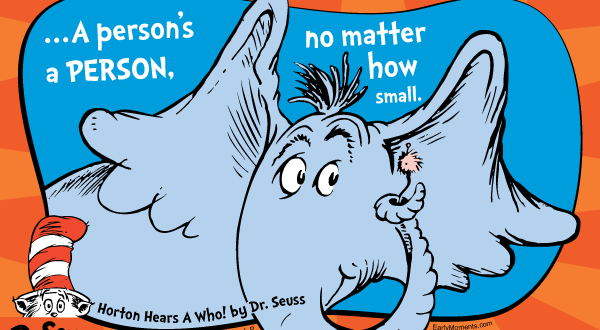 For a surefire way to brighten your day, here are 25 pieces of wisdom from the late, great Dr. Seuss himself! Don’t try to be like everyone else, that’s boring! You were meant to stand out. Everyone is different and it’s time to embrace those qualities that make us unique. This is a very simplistic way of saying that you can be and do anything you want! If you can think it, then surely your feet and motivation can get you there. Take a step into the fear of the unknown, try new things and face your fears head-on. You’ll be happy you did and you will gain some new experiences along the way. Go outside, lay in a park, and just think or daydream. Try unplugging from technology and think for yourself, and use your imagination! Be happy with who you are. This can be one of the most challenging lessons to learn in life. But try embracing your unique qualities and focus on the great things about yourself instead of dwelling on the things you perceive as negative. Show yourself some love and take good care. Never stop learning. The moment you feel like you have it all figured out is exactly the moment where you should pick up a book and read something new. If there is something you always wanted to know more about, then do some research. It may just lead you on some new and exciting adventures. Take in all the beauty. Keep your eyes open or you’ll miss out on some of the beautiful aspects of life. View the world with the same wonder and awe as you did when you were a child. Often times we tend to overthink things. Sometimes the answer is right there in front of you just waiting for you to clear your head enough to see it. Don’t over-complicate things, and trust your intuition. Sometimes it can seem like things are happening all around you. Maybe your friends and/or family members are making some big leaps, but don’t feel discouraged by this, just keep doing you and soon enough you’ll be happening too. This is so cute, and it comes from the Dr. Seuss book Did I Ever Tell you How Lucky You Are? Sometimes it helps to focus on the things you are grateful for in your life and give thanks for all of the amazing things that are happening. Always be open to learning something new and hearing others’ opinions instead of just assuming you already know everything. When you do that you are closing your mind and the opportunity for learning, but really, there is always more to learn! Enjoy the little things in life because you won’t realize just how important they are until they become your memories. This seems like one of the most intense quotes that at least I’ve ever heard from Dr. Seuss, but like the rest, it couldn’t be truer. You have the power to decide your future, and the fate of your future lies in your hands alone. Ask yourself, what it is that you want, and go make that happen. This reminds me of the powerful statement, speak the truth, even if your voice shakes. It is important to speak up for what you believe in. It doesn’t mean getting into argumentative debates with others, but stand up and support your views. You may be surprised that people actually agree with what you have to say, but were maybe just afraid to say something as well. It is important to move forward, but just make sure that you are doing this with tact and not hurting others along the way. It is true, life is a great balancing act, and you need to find out what works best for you. It’s true, there is no one that is more youer than you! So as mentioned above, don’t be afraid to embrace those qualities that make you, you! This one is kind of similar to the saying live each day as if it’s your last. Make each day your best day, and accomplish everything you would like to get done, and then some! Maybe do something different! Well, today is your day because every day is today. Your mountain refers to whatever it is you want to accomplish, so get going! This is a great reminder that every person and being on this planet deserves the same respect, no matter their race, cultural background, or views. Every day is not going to be a sunny day, but you can still make the best of those days as well. Just like life has it’s ups and downs, you just have to learn to roll with the punches. Believe in yourself! You can do anything you want to do. This is just some straight up encouragement. You won’t succeed unless you try, so just believe that you will. And if at first you don’t, try, try again. Change happens when there are people who genuinely care about something. Think of all the insightful documentaries that have been made because someone cared so deeply about a subject to make it happen. The same thing goes for taking care of yourself. Unless you care deeply about yourself and your success, you may find it hard to find the motivation to make positive changes in your life. Clearly, Dr. Seuss had a great imagination. We can tell by all the amazing characters he dreamed up for his stories. It is important to be able to use your imagination as often as possible and fantasize about your future self and goals. Just get going! Don’t worry about those who you perceive as above you, just focus on yourself and soon you’ll join them at the top!